That’s the show in which I will be exhibiting one of my illustrations, coinciding with the release of the book “A Welsh Alphabet.” The book featuring a variety of styles by many talented artists, will be published by A Raven Above Press. 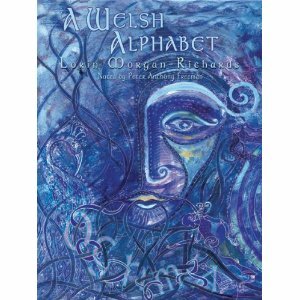 Forthcoming book "A Welsh Alphabet" to be published by A Raven Above Press, 2011. 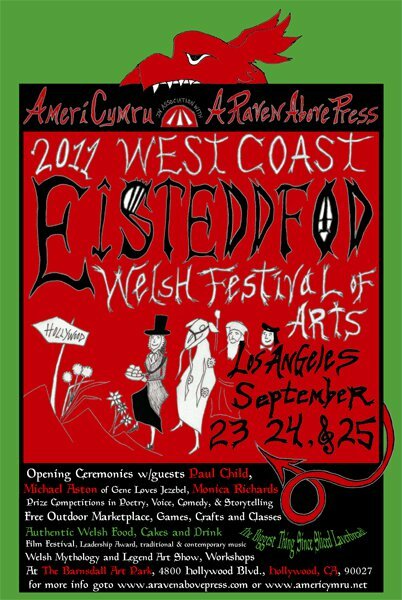 Next weekend, if you’re going to be in the Los Angeles area, check out the 2011 West Coast Eisteddfod: Welsh Festival of Arts. Flyer for the 2011 West Coaist Eisteddfod show. The illustration I did for the forthcoming book “A Welsh Alphabet” will be on exhibit during this event. September 23, 2011 will also be the release date of the book itself, to make its debut at the the 2011 West Coast Eisteddfod festival. It’s been a while since I had posted a blog entry. Not by choice, mind you. 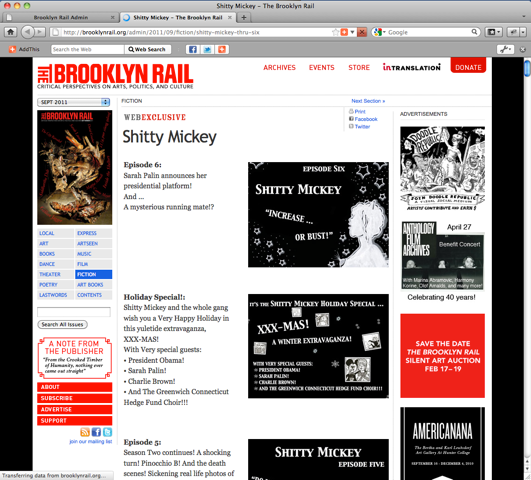 Life has gotten pretty busy, so I’ve been slacking off in my blog related duties. For some reason or another this morning, I had remembered this one kid. This was back in the 1990s, when I admittedly wasn’t doing much with my life. Many of the people I had associated with during that era were of toxic nature. People I shouldn’t have wasted my time with. My days consisted of various dead end jobs. My nights were spent wasting time hanging out around the lower Manhattan area. Did a lot of clubbing during that time. Went to a few ‘Raves’ and club parties, but was mostly lingering around small dives around the East Village/Lower East Side area. I regularly went to places like Mother and Coney Island High. The ’90s was also when I first really gotten into tarot cards. Looking back, the tarot was my introduction to anything metaphysical. Walking around after an all night party, me and two friends were causally walking around the East Village. Somehow we started talking about Ouija boards. My friend said he had purchased one from a store called Enchantments. Since we were on East. 7th street anyway, we decided to browse inside the shop. On a lark, I brought my first ever deck of tarot cards. Going with my tastes, I chose the Art Nouveau deck. A deck which believe it or not, I still have to this day. To my surprise, I was really good with reading tarot. Started reading for friends and strangers alike. This is dating back to 1993. By the time the late 90s rolled around, I had already done professional tarot readings in clubs. It wasn’t too often. Mostly filling in for someone who couldn’t make it that night, and for a pal’s club party. Anyway…during this time, I remember this kid who hung out at Coney Island High a lot. A short dude with a small black mohawk. Despite his attempts at networking inside Coney, reception to him was lukewarm. Me and him never truly spoke face to face. It wasn’t my choice; we just never had an opportunity to have an actual conversation. My observations were always from afar. Over the course of the two years, I would see him hang around mostly at Coney Island High. One time he was drunk, his arm around some blond punky looking girl. My guess it was probably his girlfriend. They were living the Sid and Nancy dream, acting rowdy in the street. They were going to check out Texas Terri & The Stiff Ones around the corner at The Continental. Next time I saw him, he was flying solo again. Why am I bringing this all up you ask. Okay, I’ll get to the point of this story. Fast forward to either 2002 or 2003. I had long stopped crawling around downtown until the wee hours of the night. I was in a relationship that was going nowhere. Had begun involvement with someone else, also going nowhere. The early 2000s were ten years of experiencing a series of rough patches. My self esteem wasn’t that all that great. Constantly I was put down and discouraged from what I had really wanted to do. Put down for my interests at the time, etc. Meanwhile the main boyfriend was a hypocritical trust fund baby. A forty year old pothead going on seventeen. Looking back, I should’ve walked away from him a long, long time ago, but things happen for a reason. Everything is a learning experience. Anyhow…this guy takes me to see Joan Jett and The Blackhearts in concert. Since he was the man with the van, we drove all the way to Asbury Park. We arrived at The Stone Pony, just in time to see the opening act. The first band walks on stage. I immediately recognize one of the band members. The band member in question was the mohawk kid from back in the Coney Island High days. So in roughly seven years, this guy went from being an outcast desperately trying to fit in to the Coney club scene, to playing in a band that was opening up for the legend Joan Jett. Don’t know whatever happened to that opening act after that night. Yet looking back at that night, that should’ve been a wake-up call. Proof that no matter how people can sometimes perceive you, you can still manage to accomplish anything. This mohawk kid didn’t care what people thought of him. Nah. He did what he set out to do, regardless. The result? He surpassed all the local band douchebags and scenesters, following his passion. He had a gig opening up for Joan Jett, one of my heroes. As for all the people I used to hang out with back in the ’90s. Some I’m still friends with, most faded away from my life for one good reason or another. After 1999, I knew some changes had to take place in my life. After 2003 (although by accident for the most part), I set out to do what I had wanted to do. The result? While I admit I had made some poor judgement with whom I used to be associated with, executed some bad decisions, blah, blah, blah…for the most part I obtained some of my goals. I was snubbed, laughed at, rejected, slandered, sabotaged, back-stabbed…and still I managed to prove a good majority of people wrong. Still did what I had intended to do. Along the way, I changed and evolved into the person I am currently. I evolved. I learned from my mistakes. I’m still learning on a daily basis. Along the way, I also learned not to care too much about what others think. I stopped trying to constantly “fit in.” Instead, I’m living life on my own terms. Besides…how can I help others if I can’t help myself first? Yeah, I should improve on my psycho/vampyric/liar/user radar more, but I’m getting a bit better. As I’ve said, I’m still learning on a regular basis. I’ve come a long way from the person I used to be back in the ’90s. I’ve come a long way from the person I was from back in the early 2000s. Quite possibly, I might be a completely different person in another ten years. Which leads us to the moral of this blog entry. No matter how many times people may disregard you. No matter how many times you keep falling on your face…just get up, learn from your mistakes and try again. After all, at the end of the day, it’s your life. You only live once, so might as well make it the best way you can.